A pack of 4 compostable sponge cloths. Made in the UK. Hygienic, durable, environmentally friendly, reusable & fully biodegradable. 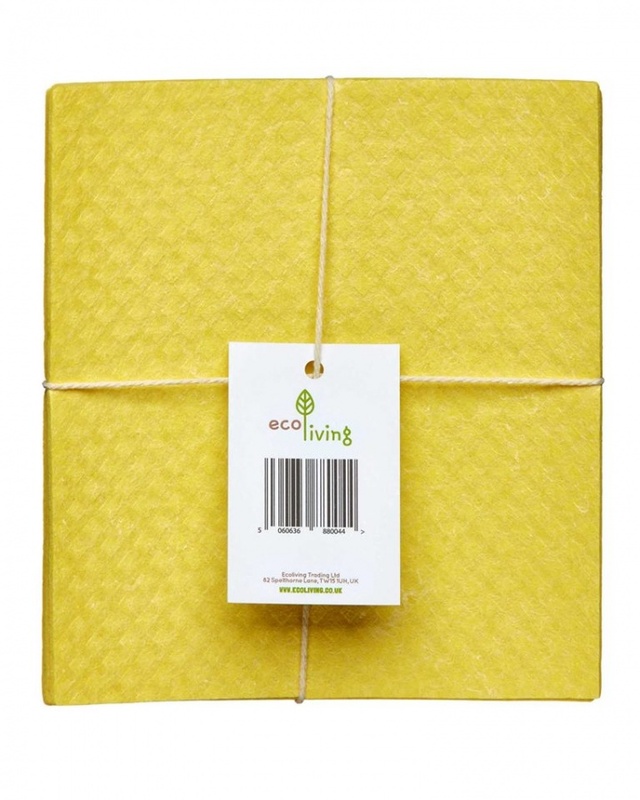 A pack of 4 compostable sponge cloths. Made in the UK. Hygienic, durable, environmentally friendly, reusable & fully biodegradable. Compostable sponge cleaning cloths made of natural renewable raw materials, cotton, wood pulp & flax. These cellulose sponge cloths are the perfect replacement for classic sponges made of petrochemical compounds. They are more absorbent than the supermarket sponge cloths and also are plastic free so they do not emit micro-plastic pollution either. These sponge cloths are particularly absorbent, durable, resistant to tear and abrasion. They absorb liquid quickly and retain up to 10 times its dry weight in water. - 100% plastic free and made from plants. - A set of 4 fully biodegradable sponge cleaning cloths. - Perfect for the kitchen, bathroom and all around the house. - Reusable over and over again, then compostable at home. - Lint-free and pleasantly soft. - Minimal low impact packaging, plastic-free.